Kevin Martin, otherwise known as The Bug, and Justin Broadrick have confirmed that they will reunite on stage this March. Billed as a one-night-only affair, set to take place at Berlin's Gretchen Club on March 9, the exact details of what the show will involve aren't fully known yet, but Martin has shared some information. "The last 'official' Techno Animal show, I had to perform solo, as Justin was too phobic to get on a plane," he told Self-Titled over email. "So we felt Techno Animal never got the send off it deserved. We are now working together again as ZONAL. 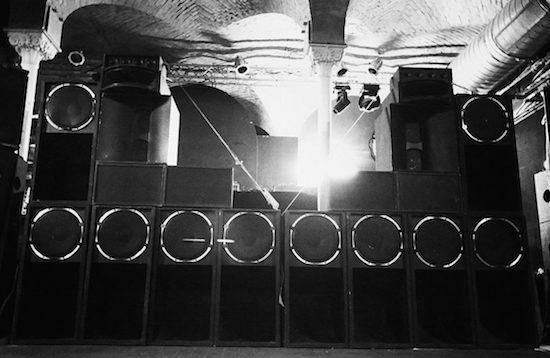 This ‘PRESSURE’ show is presented as my club night on my sound system. The ideal scenario, alongside my soul brother JK Flesh. This is our way of waving goodbye to the past, and rushing headfirst into the future…. A troubled soundtrack for troubling times. Bass concussion time!" The pair are now working together under the name of ZONAL, but Martin says that no music is finished yet under that project title, though work is underway. The pair have previously worked together in groups such as God and Ice. Today, Martin shared a new limited release alongside Miss Red, issued as part of Soul Jazz's own exclusive singles collection, which has previously seen releases by Golden Teacher, Hieroglyphic Being and more. Check that out here. You can also have a listen of Martin and Broadrick's debut Techno Animal album, Ghosts, from 1991 below.